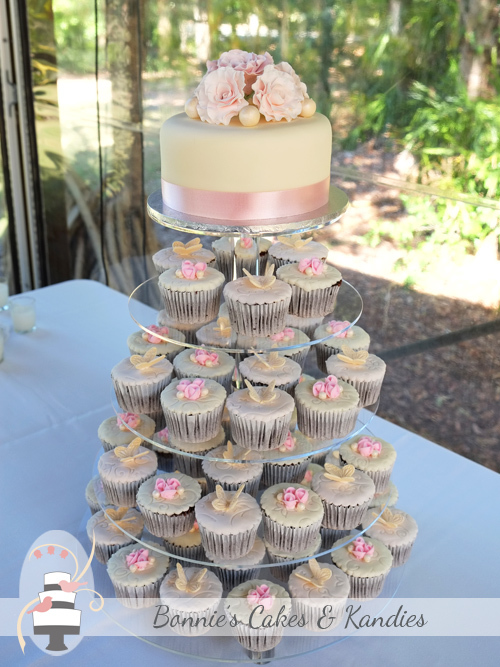 I recently had the pleasure of delivering this ivory, pink and cream cupcake tower to the beautiful Rainbow Shores at Rainbow Beach! 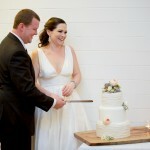 The bride & groom considered a few different styles for the cake before deciding on cupcakes and a cutting cake. The cutting cake, made in dark chocolate mud cake and covered with my rolled white chocolate fondant, was decorated with hand rolled, edible pearls, and a sweet posy of frilled rose-like fantasy flowers. The cupcakes, also dark chocolate mud cake, were decorated in two designs, both featuring a leaf and vine pattern. 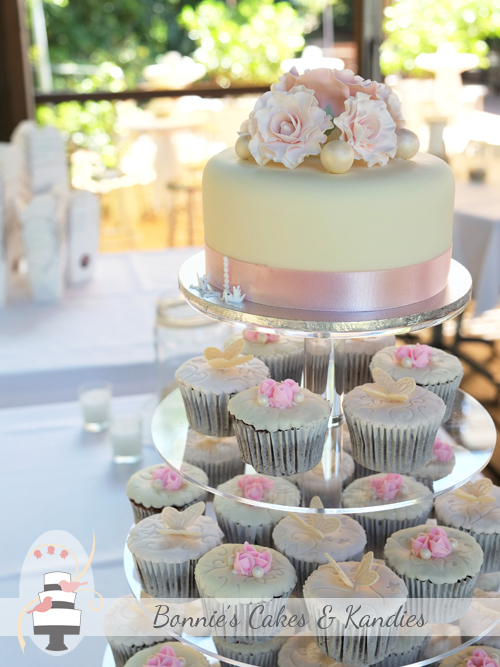 Half of the cupcakes were covered with pale pink fondant and topped with a cream butterfly, with the other half decorated with a trio of pink piped rosebuds and small pearls on a light cream fondant covering. 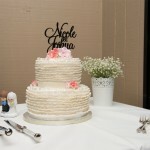 All decorations were individually made by hand, and more importantly – they were all edible. 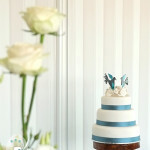 Cupcakes decorated with piped rosebuds, pearls & butterflies, and a beautiful beach-themed table setting by the team at Rainbow Shores | Bonnie’s Cakes & Kandies. 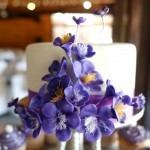 It was an absolute pleasure to make this beautiful cupcake tower, and I couldn’t be happier with the final result. Thank you to the lovely couple for this order. Wishing you a long and very happy future together! 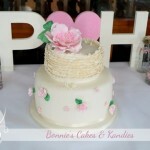 Rainbow Beach wedding cake and cupcake tower by Bonnie’s Cakes & Kandies. 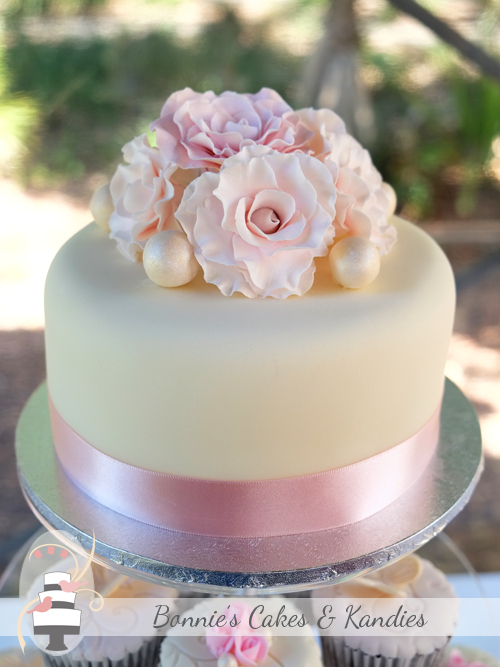 Cutting cake: dark chocolate mud cake with a white chocolate fondant covering and posy of handmade pink icing flowers and cream shimmer pearls. 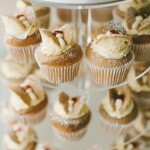 Cupcakes: pink and cream fondant topped cupcakes with handmade butterflies, piped rosebuds, pearls and leaf pattern.